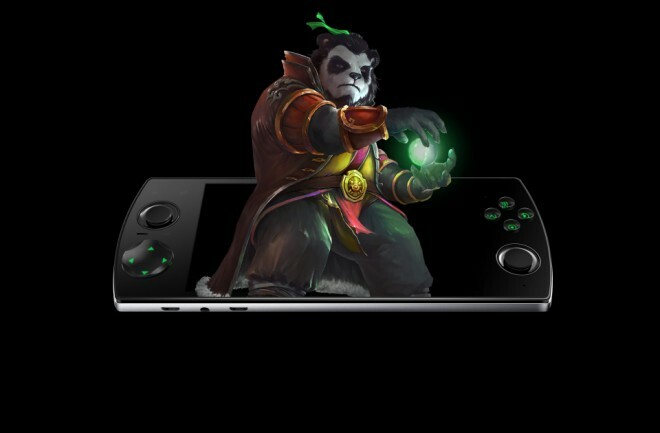 Snail Games demoed and announced their new Glasses free 3D gaming cell phone at CES 2015. There has been a lot of buzz surrounding the new Glasses Free Android based 3D gaming cell phone at this years E3 convention held in Los Angeles. The W3D gaming cell phone comes equipped with a 2.2 GHz eight-core huh speed CPU, 2 GB RAM, 16GB built-in storage, a 5.5-inch HD screen, eye tracking, 1080p resolution and a glasses-free 3D display. A lot of bang for the buck! For gamers, the W3D comes equipped with shoulder buttons, dual joysticks, D-pag and four face buttons that are usually found on handheld gaming devices. The Snail Games W3D mobil gaming device can now be pre-ordered on Amazon for $399.00 USD. For more information visit Snail Games or click on the Amazon link to pre-order. Look for a September 29th 2015 release date per Amazon’s website.